Authentic in every way! This describes villa Casa no Canto. An amazing townhouse turned into a luxurious holiday home suitable for 8 guests situated on a hill in the centre of Boliquieme, one of the white villages of the Algarve. Find an inviting swimming pool in a stunning private court yard for lazy lunches and long summer evenings.A large living area and a modern, fully-equipped kitchen provide comfort for the guests. 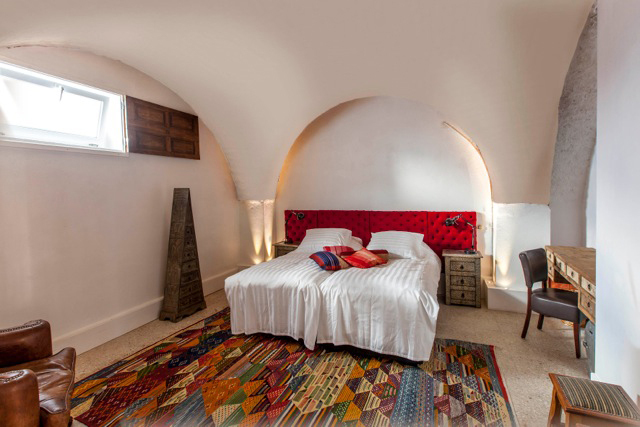 Combine this with the beautiful Portuguese tiled floors and attractive Moorish details of the spacious bedrooms and you have the perfect spot for a very special holiday experience. The backdrop of almond trees and the local shops and cafes within a short walking distance, Casa no Canto gives you the feeling of being at home amongst the Portuguese. All this and more is only a ten minute drive from the world famous beaches of the Algarve, the nightlife Albufeira, the Vilamoura harbour and dozens of Europe’s most beautiful golf courses.